The increased natural disasters require each and every individual to have a power supply that will keep them going for a long period. 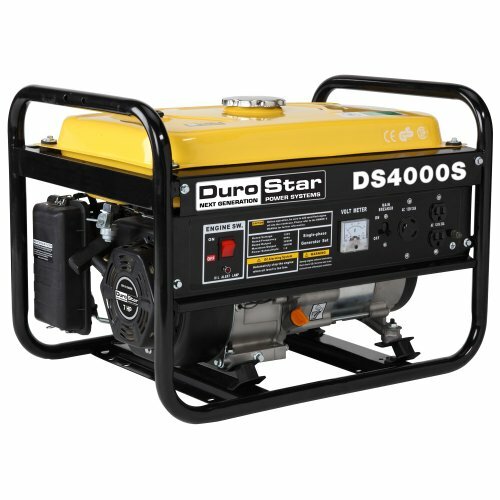 The DuroStar DS4000s generator is a cost effective unit that comes in a compact structure and it is portable. The device offers you a quiet operation so it does not interrupt your activities and can run up to eight hours. It is a high quality generator which is EPA approved and easy to operate. Among the best generators in the market, DS4000S is the most highly rated. The DuroStar DS4000s Watt is a durable generator with a 7.0 horsepower engine equipped with air-cooled overhead valve, and it is EPA approved. The engine comprises of an automatic shutoff system and a power panel that consists of power outlets and an oil warning light volt meter circuit breaker that shut off immediately the generators runs low on oil. It offers you a continuous power supply that is integrated with a recoil start that is able to run 3300 watts with 4000 watt surge of power and its outlets operate on 120 volts, 20 amps. The device offers you a smooth and quiet operation due to its heavy duty steel frame that comprises of four point motor mounts, which are isolated. The quiet operation of sixty nine decibels is also guaranteed by the muffler, the unit has. It comprises of 3-prong outlets that will offer you a constant power supply along with a single outlet for high power appliances. The unit is made up of an ignition system that is a non-contact transistor. It has an engine type of a 4-stroke overhead valve single cylinder with forced air cooling system. DuroStar DS4000S has assembled depth of 23 inches, assembled width of 18 inches, and assembled height of 15.5 inches, which makes it compact and easy to move from one place to another. Conveniently, the unit is made of OEM branded engine make, consist of horsepower of 7, and uses gasoline as fuel. The fact that DS4000S contains DuroStar engine makes it unique, and it is CSA listed. Composed of a four-gallon tank capacity that can keep you up and running for eight hours at half load. It has an operational volume of 69 dB, which enables the generator to operate at a considerable low noise level. In addition, DS4000S generator has low oil shutdown mechanism. Though the unit is made up of high quality features it is affordable. Have a relatively low operational volume of 69 dB, and a low oil shutoff. It runs quick and smooth operations due to the EZ-pull recoil start and offers you easy installation. It is durable due to the automatic low oil shutoff feature that prevents the unit from frying up. It is not CARB compliant hence not for sale to clienteles residing in California. It does not comprise of wheels hence requiring you to purchase an optional wheel kit or carry the unit manually. It does not have a watt or amp meter. DuroStar DS4000S is more comfortable when you have your own means of producing electricity during an electrical service lapse. The DuroStar DS4000S generator is the immediate solution when there is a power outage due to natural disasters, such as heavy storms or bad weather. The device is the best source of electricity for individuals who go for camping. It is also suitable for individuals who prefer low operational volumes. The device has a smooth and quiet operational volume which ensures that your sleep or other chores are not distracted. 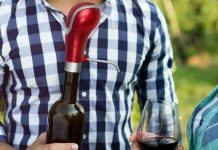 People who love travelling in their RV and spending their weekends away from the city need to purchase this device in order to account for the worst. The device is good on gas and can run for eight consecutive hours at half capacity. It is also suitable for individuals who love to keep their household appliances running since it comes in a compact structure and also comes in with an optional wheel for extra portability. Electricity lapses occur without giving you any warning especially during disasters like bad weather, and can last for a long period of time. Therefore, purchasing the DuroStar DS4000S generator is important. Unlike other generators it is cost effective; hence, affordable to all. It is easy to handle and maintain since you only need to add oil and then pull the cord in order to start the generator. With the extra optional wheel kit the unit provides you with extra portability hence easy to carry. It also operates quietly and smoothly making it the best generator that does not interrupt your sleep or chores. You should also note that it has a 50% maximum run time, which consists of a four gallon fuel tank enabling the unit to run for eight hours at half capacity. DS4000S is your way out of power outages, jobsite and camping power requirements.